Do you have a bumper crop of peppers you have harvested from your garden? Your first thought might be to find ways to use them before they spoil. 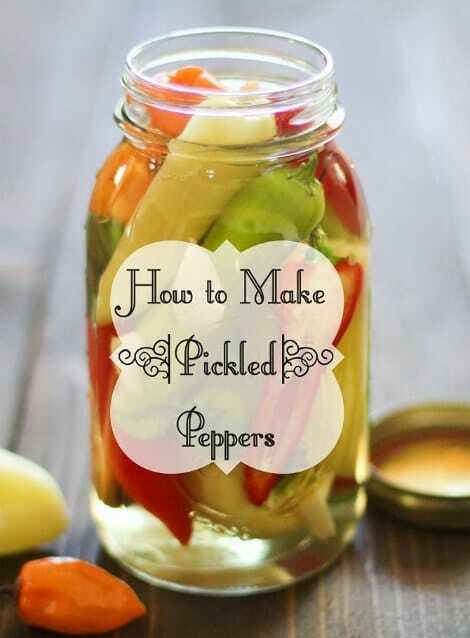 A great option is to make some pickled peppers to use as a garnish with a meal or to a have as a snack. The recipe to make pickled peppers is that they are really easy and the process can be done in about 30 minutes. You will be able to make multiple batches without having to spend a lot of time in the kitchen. All you will need is peppers, some mason jars and a few other ingredients. One important thing to remember about making pickled peppers is the actual pickling process is slow. The peppers are going to have to set for about a week to about a month to have the best flavor. Another result of this process is that you will have a pepper flavored vinegar to use as a cooking ingredient!